Receive a free 9 month warranty extension with purchase. That's 12 months total coverage, a $334 savings. Productivity comes standard with the DR-6030C. 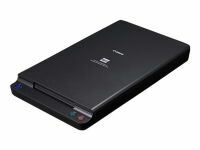 This compact scanner is packed with power, yet built for effortless scanning of paper sizes up to 11" x 17". 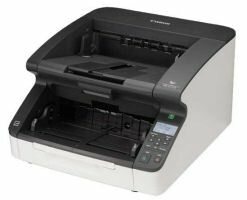 In addition to offering high-quality, production-level scanning at 80 ppm in color and black and white, the DR-6030C is versatile enough to meet a wide range of business needs. 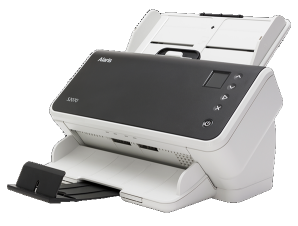 Whether scanning thick documents or plastic ID cards, the DR-6030C ensures smooth feeding with its innovative Straight Path design. 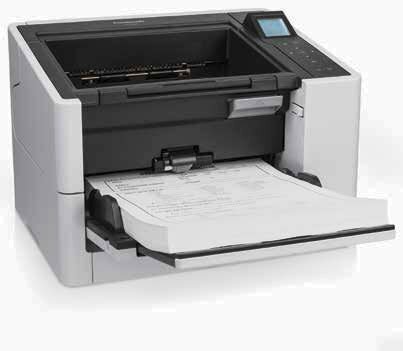 Diverse automatic and customizable functions allow you to scan documents faster and more efficiently than ever before. 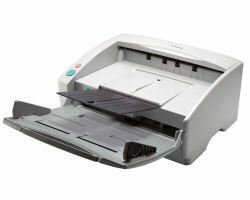 The DR-6030C can reliably handle batches of mixed document types with the ability to automatically straighten skewed documents and rotate upside down images. In the event of a misfeed, the Rapid Recovery System allows you to seamlessly continue scanning right where you left off and only sends completed image data to your PC. Because speed alone isn't enough to satisfy the demands of paper-intensive business environments, the DR-6030C was designed to be as accurate as it is fast. For improved OCR results, a Custom Color Dropout feature allows you to remove color elements such as lines or shaded boxes. Automatically optimize readability of documents containing hard-to-scan elements such as faint text or pencil writing with two Text Enhancement modes. The DR-6030C comes bundled with Canon's Capture Perfect software, in addition to Kofax Virtual Rescan (basic) and a full-featured ISIS®/TWAIN driver. The DR-6030C has been tested for compatibility with many of the industry's leading electronic document management solution providers. Please check canon's web site for a comprehensive compatibility listing. The DR-6030C employs an advanced 3-Line CMOS CIS sensor to achieve ultra-fast color scanning at the same rapid rate as black-and-white-80 ppm in simplex or 160 ipm in duplex. If scanning is interrupted due to a misfeed, the Rapid Recovery System allows you to reposition the document and seamlessly continue scanning right where you left off - only complete image data is sent to the PC. Includes new Straight Path feeding mechanism for scanning documents of unusual size and weight, including plastic ID cards, driver's licenses and insurance cards. Long document mode allows scanning up to 118" long. The DR6030C inherits Canon's renowned high-precision roller system to deliver smooth, jam-free feeding of a wide variety of document types, from plastic cards up to 11" x 17" paper sizes. Quickly and reliably scan mixed batches with efficiency-boosting features like Skip Blank Page and Automatic Page detection. Document Sizes: width: 2.1" - 11.8"
Operating Modes: Simplex, Duplex, Color, Grayscale, B/W, Advance Text Enhancement, High-speed Text Enhancement, Error Diffusion, Multi-stream. * Examples based on typical settings, rated in Images Per Minute with letter-sized documents, portrait feeding direction @ 200 dpi with AE off. Actual processing speeds may vary based on PC performance and application software. Dimensions: (H x W x D): 7.5" x 15.6" x 12.3"
* Letter-sized portrait w/o AE @ 200 x 100 dpi excluding first-page scanning. This scanner comes with a 90 day warranty. Protect your investment with a 9 month or 12 month warranty extension from Canon. See free coupon at top of page!